It used to be 'corporate raiders' that instilled fear of takeover in the hearts of company boards. Now it is 'activist shareholders' who want to shake up the performance of a company. And it used to be about value, when a firm was considered to be worth less than the sum of its parts. Now it is just as likely to be about governance as performance. It was all of the above when giant US activist investor Elliott Advisors came to town last year targeting BHP. The pushy hedge fund bought about 4% of BHP shares and demanded it unlock $46 billion for shareholders by selling off its US shale oil holdings, end its dual Sydney-London stock exchange listings, and change its board. It was all guns blazing, with 40 giant billboards around Australia telling BHP to "think smart", a play on the big miner's slogan "think big". Elliott used social media to court small shareholders' support for its campaign, as well as negotiating with big investors, after months of talking to the company over its demands. Elliott's problem was that most of the claims had been under active discussion between BHP and its big investors for some time. Press reports said big financial institutions cold-shouldered Elliott as naive. Yet at least one, global fund manager Aberdeen, which like Elliott had almost a 5% stake in BHP, said it was in "very close contact with Elliott", which was "100% correct" in pushing for change. Fifteen months later Elliott has had mixed results. It saw BHP's share price rise about 30% (well above the whole stock market's 5%), though critics say that was as much due to higher shale oil and other commodity prices moving in its favour than Elliott's efforts. Little has fundamentally changed at BHP, but commentators concede the hedge fund brought a new level of scrutiny to BHP, though it was already one of Australia's most watched corporations. At their best, activists can force companies to justify their long-term strategy and benefit shareholders. 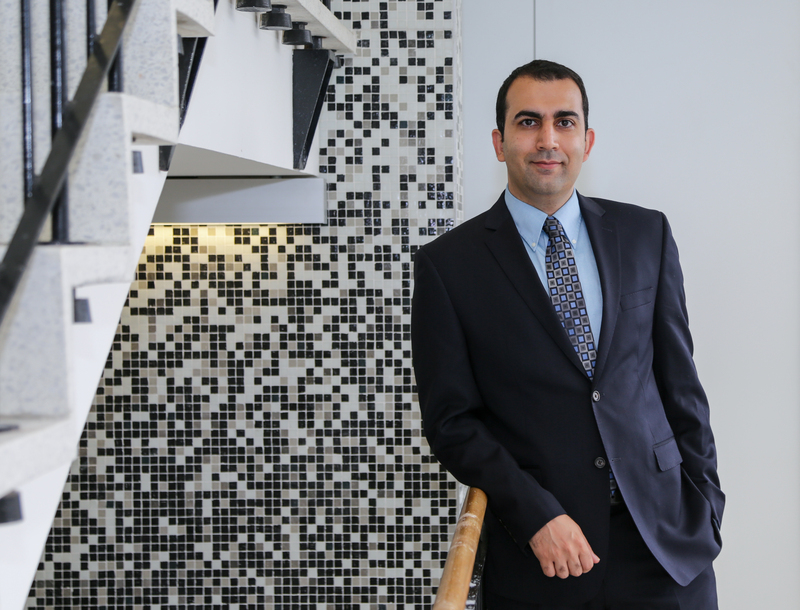 According to Pouyan Foroughi, a lecturer in the school of banking and finance at UNSW Business School, "activist campaigns can be beneficial to other investors if the activist is well-connected". "Shareholder activism in its new form is a new phenomenon in Australia, and it might take some time to find its right path in this market," Foroughi says. "Generally, hedge fund activism has emerged as a prominent and powerful force in corporate governance. Institutional investors have started working along with shareholder activists and supporting them during their campaigns." Foroughi is researching the social networks of like-minded investors that build up around such activist campaigns. His paper, Hedge Fund Activists' Network and Information Flows, focuses on the role of non-activist investors and also analyses the effect that connections established among investors have on future activist engagements with other companies. For instance, could the alliance between Aberdeen and Elliott on BHP reappear in later Elliott campaigns against companies in which Aberdeen held stakes? A review of US data has led Foroughi to find that the more support activists get from big institutional investors, the better the results. It has a strong positive effect on both the market reaction to activist campaign announcements and the long-run performance of target companies. Foroughi demonstrates his point with a model using US stock exchange records to identify investors involved in past activists' campaigns. If they significantly increase their ownership in the same target company at a similar point in time, they are taken as being connected over subsequent campaigns. He thus builds a network of investors and employs centrality measures from social network analysis. Centrality identifies the most influential person(s) in a social network. The research shows that activists with more connections to other investors run more successful campaigns. This may provide them with information from other investors about suitable target firms that have more potential for improvement. Institutional shareholders disappointed with some firm's performance in their portfolio could be another important source of information for activists. Also, activists connected to other investors can better advertise their campaigns, obtain more shareholder support and be more influential in negotiations with management. Foroughi demonstrates that activists that are more central in the investor network experience both a higher market reaction to announcements of their engagements and better long-run performance of their target companies. To rule out alternative explanations for the positive relation between the success of activist campaigns and centrality measures, Foroughi looks at what happens with the resignation of a mutual fund manager who is part of the activist's network. When this link is broken, the activist's campaign to improve a company's performance is weakened. "I find that activist investors that have experienced a loss in their connections due to mutual fund manager turnovers receive less positive reaction from the market around their activist campaign announcements and experience a smaller abnormal return during the first year after the announcement," he says. "I also find that these activists are, on average, less successful in achieving their goals and improving the operating performance of their targets." And the study shows that well-connected activist hedge funds are followed by more institutional investors after the announcement and are more likely to choose a hostile tactic for their campaigns. Overall, these findings emphasise that connections to other institutions are important factors in hedge funds' activist campaigns and benefit activist investors. The splash from Elliott's campaign against BHP – and this year's US hedge fund Glaucus Research Group's devastating critique of Brisbane-based Blue Sky Alternative Investments Limited, which pushed its share price down 70% – are not the staple of activism in Australia. Compared with the US, shareholder activism in Australia has been subdued because of the unique access big investment institutions have to company boards, according to Michael Chandler, governance director at Morrow Sodali, which advises boards dealing with activists. "Big investment funds can usually get a good hearing, so a lot of communication and discussion goes on behind the scenes, which is a cultural difference from America," Chandler says. "But things have changed. Activists used to be interested in undervalued companies. Now it's also [about] looking top down at issues such as duty of care and accountability, as illustrated in the increasing level of 'against' votes at AGMs in the past 12 to 18 months. "Large institutional investors and index funds and super funds are also interested in governance issues. "Super funds have governance departments to go through every shareholding because they have a moral obligation as holders of retirement savings. The size of these funds continues to grow and any activists would need their support, so the big investment institutions are calling the shots. "Giant index funds such as Blackrock have to own stocks in a given stock market sector and cannot sell out if they are unhappy with a company, so have to agitate to improve things, and [they] have units to do that," Chandler says. BusinessThink is a free online publication. By subscribing, the latest edition will be delivered to your inbox once a month. Inside view: Will the Hayne report bring real change? When will central banks switch to digital money? And would you like a hot breakfast as well as a limousine to the airport? Page last updated: 19/09/2018 1:13 AM Disclaimer Some pages on this website are updated dynamically on a regular basis. This may not be reflected in the ‘Last updated’ date.